Louise Clifton is a shoemaker and teacher dedicated to making shoemaking skills simple, accessible and fun. 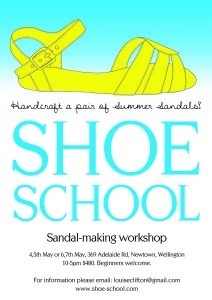 This winter she is offering sandal making workshops so that you can step out in your own creations next summer! You too could make some of these for next summer! 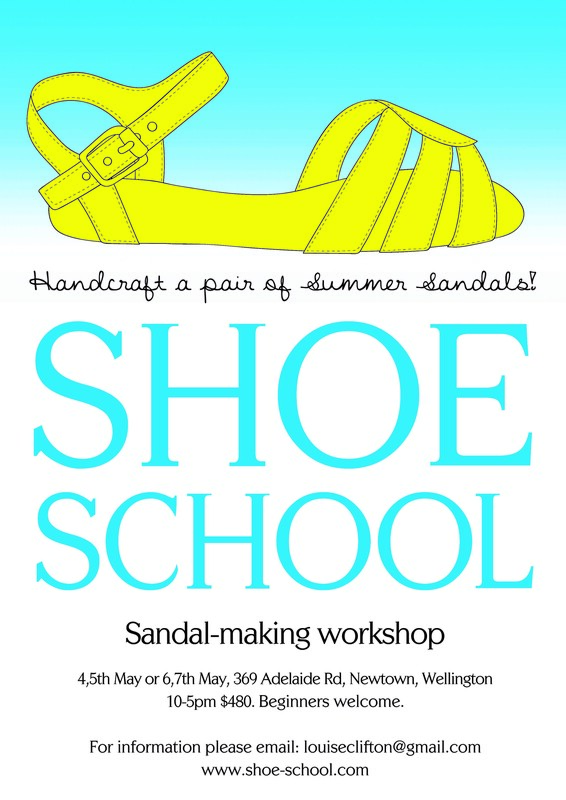 Although Louise’s Shoe School is primarily based in her home city of Dunedin, she will be teaching two sandal making workshops in Wellington: 4-5th May and 6-7th May. Beginners are welcome. For more information on Shoe School, including a full list of forthcoming workshops in Dunedin and elsewhere, check out Louise’s website which includes an inspirational gallery of shoes fashioned by her students. She is also on instagram @shoe_school. This entry was posted in Classes, Dunedin, Wellington and tagged handmade shoes, Louise Clifton, shoe making workshops, Shoe School. Bookmark the permalink. I’ve done shoe school with Lou – fantastic!! She walks you through the process step by step and you come out with very wearable footwear of your own design. And its fun!